high quality russian craft with food grade. 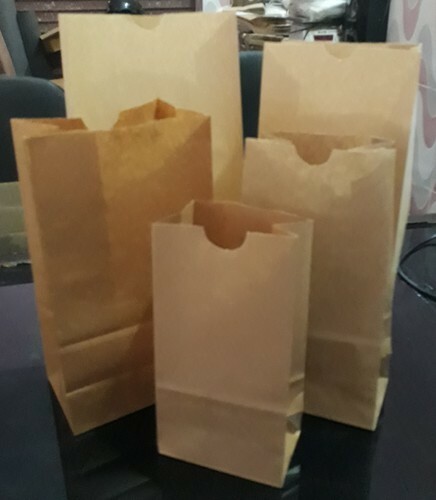 This bag use in grocery bakery sweet shop bags are made with fine grade material and excelence quality export quality goods. Established in the year 2010, at Delhi (India), we, ?Bhagwati Enterprises?, are known amongst the most prominent manufacturers and suppliers of a comprehensive assortment of Computerized Woven Labels, Printed Labels, Plastic Seals, Tags, Barcodes, Satin Tapes, Leather Patches and Garment Accessories. The offered range includes Laser Cut Labels, Heat Transfers Labels, Satin Tapes, Grosgrain Tapes, etc. Our offered product range is fabricated using the finest grade raw material and sophisticated technology. The offered range is designed with high precision in order to meet the international quality standards. The offered products are widely acknowledged among clients for their clear printing optimum finish, exquisite design, waterproof nature and enhanced durability. These can also be availed by clients in various designs, patterns, sizes, shapes and colors as per their variegated requirements. In addition to this, the offered products can also be availed by clients from us at the most reasonable price range.